For those interested in the gold sector, gold futures can be a rewarding investment. Learn how to leverage this opportunity. For investors looking to step into the gold space, there are a number of ways to invest in the yellow metal. One way is through futures, which is a common strategy among many commodities. Putting it simply, futures are a financial contract between an investor and a seller. The investor agrees to purchase an asset from the seller at an agreed-upon price on a date set in the future. In 1972, the Chicago Mercantile Exchange launched futures trading in seven currencies, but it wasn’t until 1974 that the first gold futures contract was traded on the COMEX exchange in New York. Since then, gold futures have continued to grow in popularity as an investment strategy within the sector. Gold futures are compelling because they give investors the opportunity to trade gold without having to pay the full amount right away. An agreement is made between two parties, including the price and weight of gold, and a delivery date — set in the future — is decided upon. In other words, gold futures can be described as contract in which an individual agrees to take gold at an agreed date by making an initial payment, with an agreement set in place to complete the payment. In the US, gold futures can be traded on the New York Mercantile Exchange (NYMEX) in contracts of 100 troy ounces and are quoted in US dollars per ounce. For example, $1 equals $100 per contract, with a minimum price fluctuation of 10 cents, which equals $10 per contract. Typically, NYMEX contract months include February, April, June, August, October and December, with trading closing on the third-to-last business day of the delivery month. Another place gold futures can be traded is the Tokyo Commodity Exchange, where the contract size is 1,000 grams and is quoted in yen per gram. As of July 2017, gold and silver futures trading has been available at the London Metal Exchange. Since then the exchange has reported high volumes of futures trading. There are rewards and risks to gold futures investing; however, they may not necessarily apply to everyone. Still, it’s important for investors to use their own discretion when making a decision. Here are some tips for investors to keep in mind when considering this opportunity. Investors don’t need to keep gold futures stored anywhere — at least not right away. Default risk — which means someone may be entitled to a profit but can’t collect it. 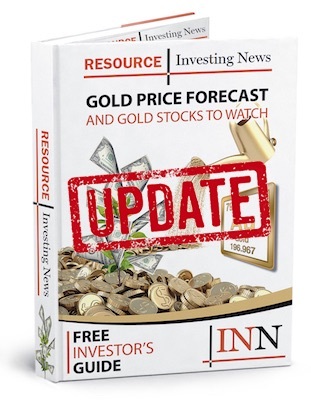 CME Group further adds that there are ongoing trading opportunities associated with gold futures, and says they are an alternative investment opportunity from stocks, coins and gold bullion. Would you invest in gold futures? Let us know in the comments below.